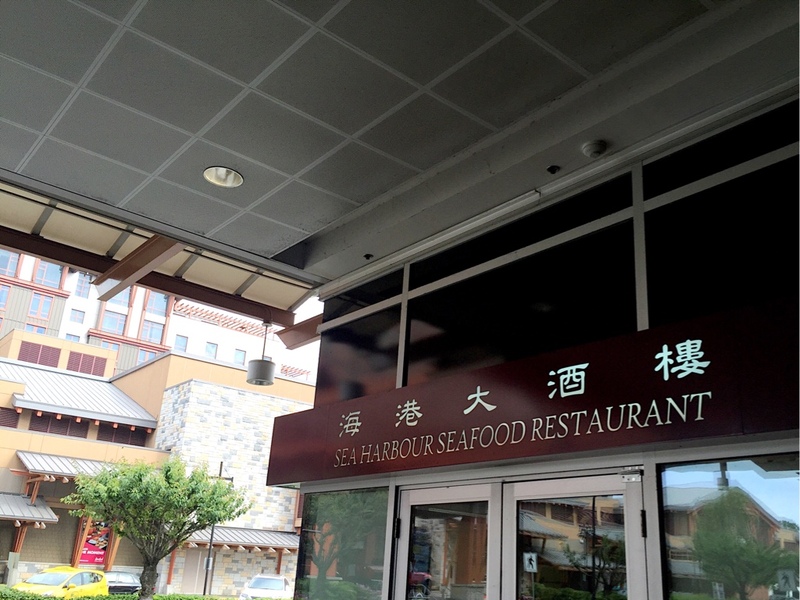 I decided to take my mom to Sea Harbour Seafood Restaurant for her birthday dim sum, which would seem like a nice thing to do, spending all that extra effort to get a table at the place that’s always insanely popular on the weekends. I did attempt to visit the restaurant a couple times, right after they moved and became a part of River Rock Casino a few years ago. But I failed to find anything available for the same day when I called. This time I called them the night before, which I rarely do for any other dim sum places if there are just 2 of us, and they could only promise me a table at 10am when they were opening the door in the morning. There was a condition too, we had to leave by 11:30am. After getting through all this, I muttered to myself, their food’d better be amazing! When we arrived at 9:50am, there was already 10 – 15 people lining up ahead of us. Walking inside, I was geting quite impressed by the place. 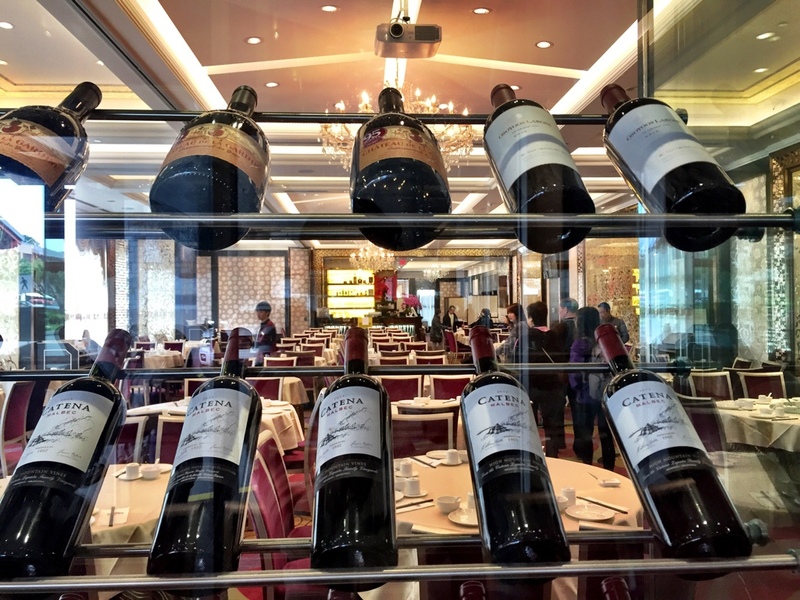 With a vastly spacious dining room with a high ceiling, chystal chandeliers, and other lavish decorative details, Sea Harbaour definitely stands out as one of the most upscale Chinese restaurants in Metro Vancouver. The only other restaurant with such a spectacular space that I could think of would be Kirin at Starlight Casino. 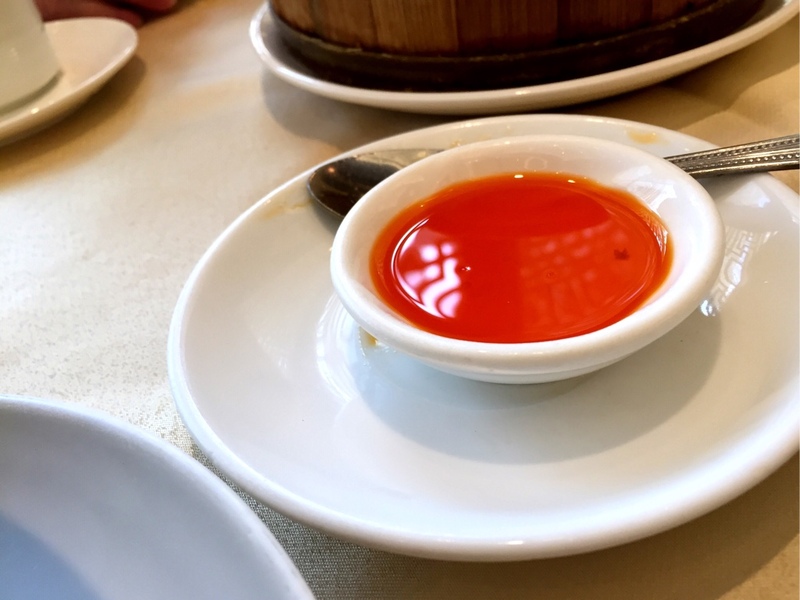 It’s interesting that those two restaurants are quite similar – both relatively new, tastefully designed, and serving high-end seafood-centered Cantonese cuisine. 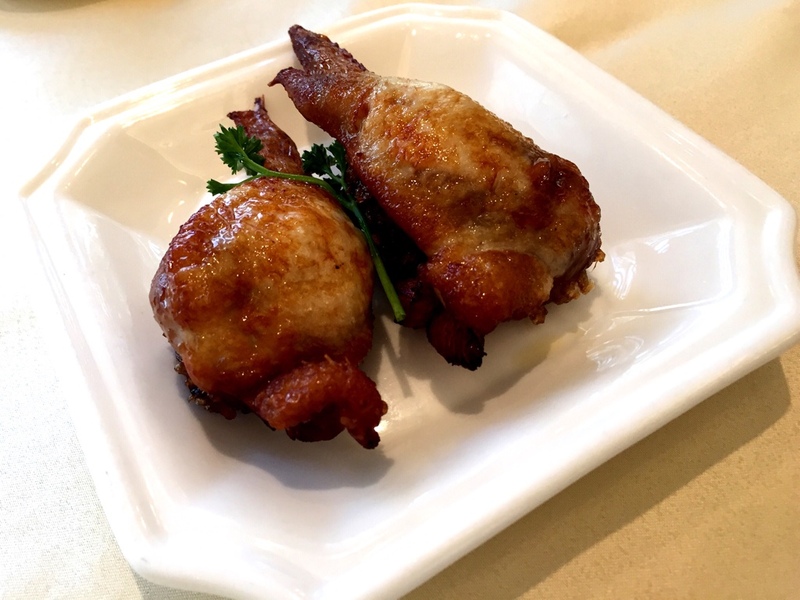 First we had the labour intensive Chicken Wings Stuffed with Sticky Rice ($5.95). The bones were carefully removed from the wings, which were filled with sticky rice and other scrumptious ingredients. 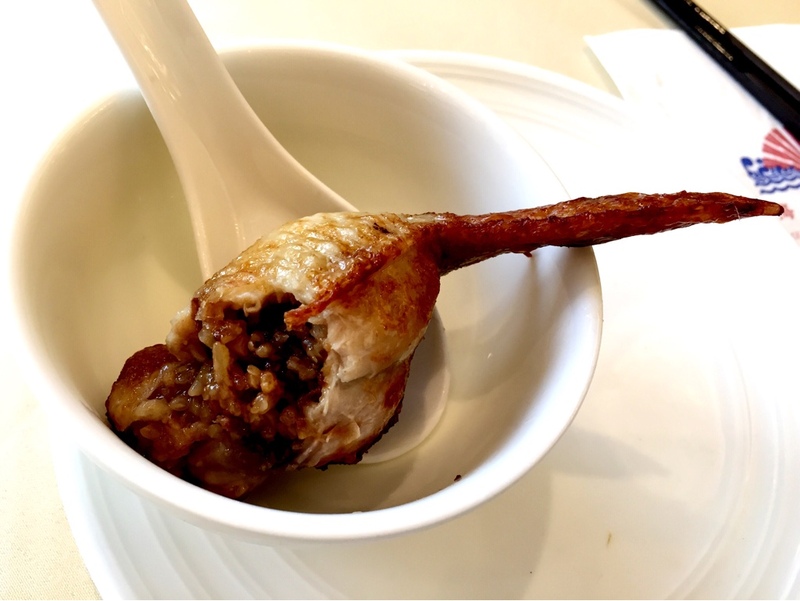 The chicken skin were deep fried to golden and crispy, and for a second I felt like biting into my favourite fried squab. Although there were only 2 wings and they were quite small, we took our time savouring those delicious bites. We also enjoyed the Pan Fried Dry Scallop Buns ($5.25), which came sizzling hot in a small cast iron pot, filled with a flavourful mixture of pork and dry scallop, warm, juicy, turning into quite a surf-and-turf adventure in a couple of mouthfuls, and the Har Gow / Shrimp Dumplings ($5.95), their version of the King of Dim Sum, which was on point in flavour and texture. However the chili oil I asked for was a little weak. This stuff might not matter as much for other people, but it’s a must-have for me, a great enhancer for delicate seafood dim sum dishes. 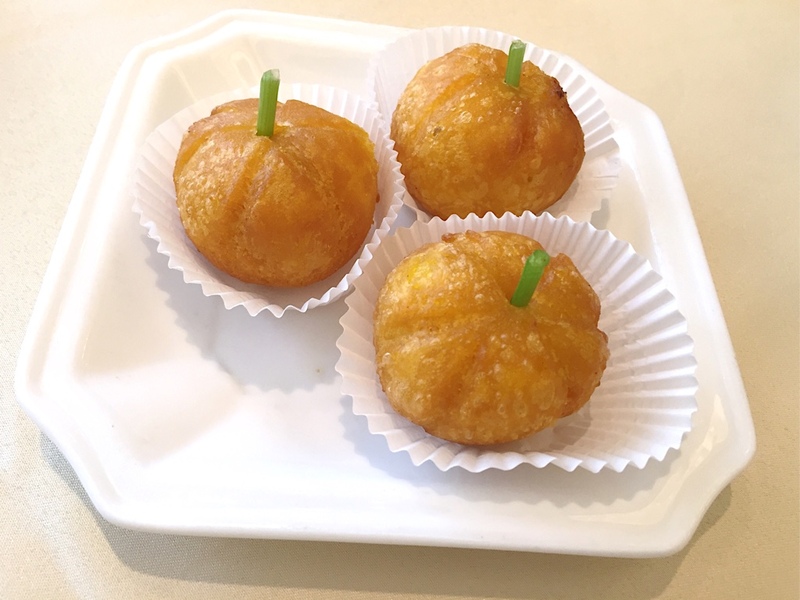 Although the Seafood Pumpkin Cake ($5.95), and the BBQ Pork Cheek Buns ($5.25) were the least favourite of the bunch, they were really not bad at all. 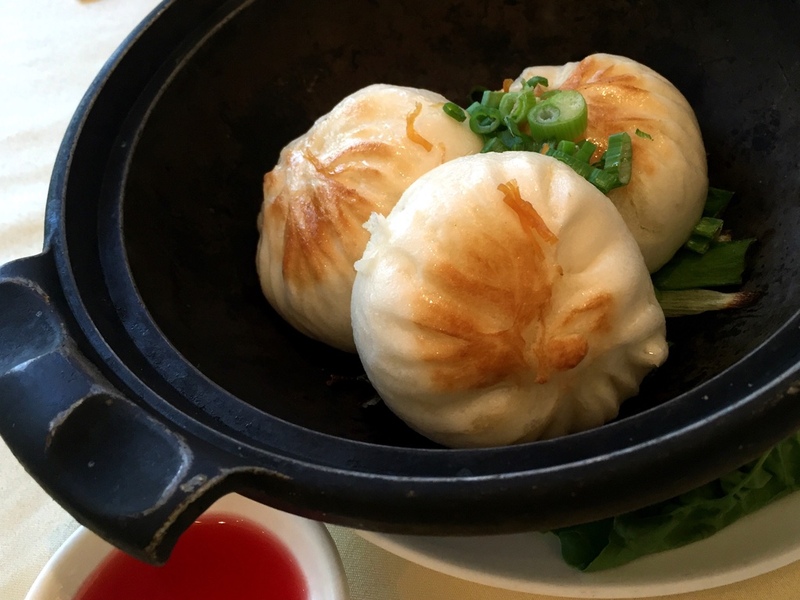 I appreciated the chef’s innovative endeavor inspired by a couple of the classics, the BBQ Pork Buns and the Deep Fried Sticky Rice Flour Dumplings, but they didn’t wow me with the taste as much. 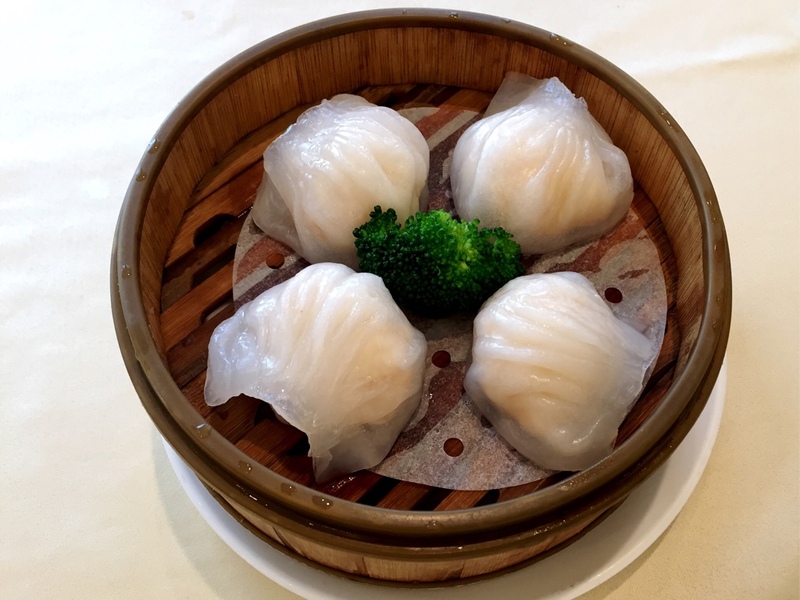 The dim sum experience was pretty solid at Sea Harbour as I had hoped for. 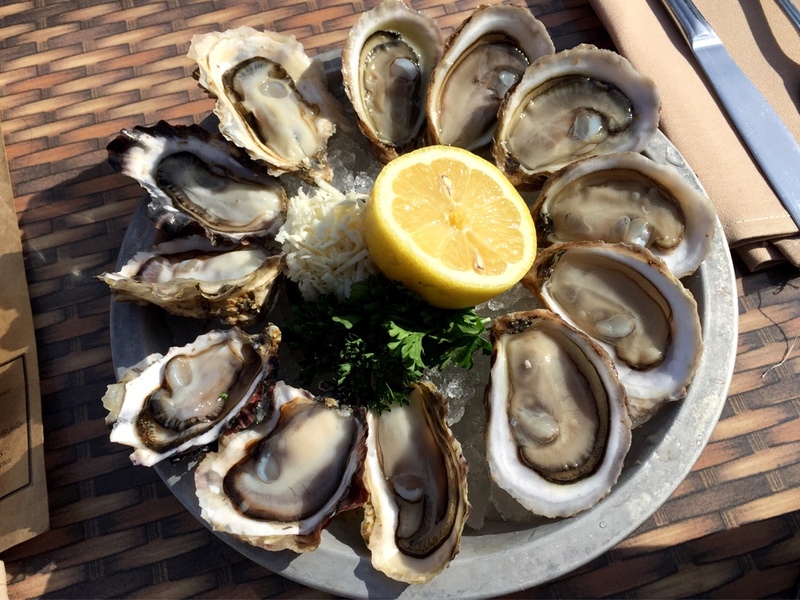 The price was on the higher end but so were the service and the food, which I absolutely had no problem with. 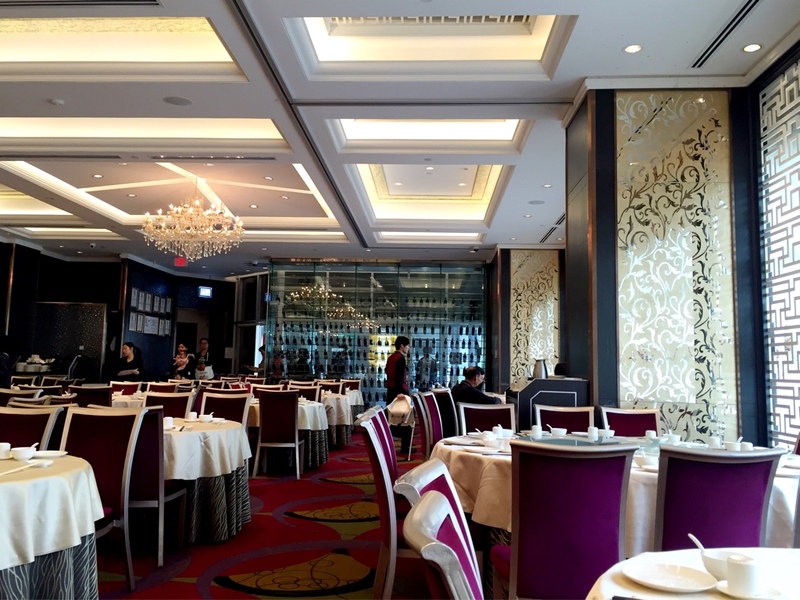 In fact the dining room here is so much more spacious than a lot of the classy Chinese restaurant in the same price range, which is quite a bonus. 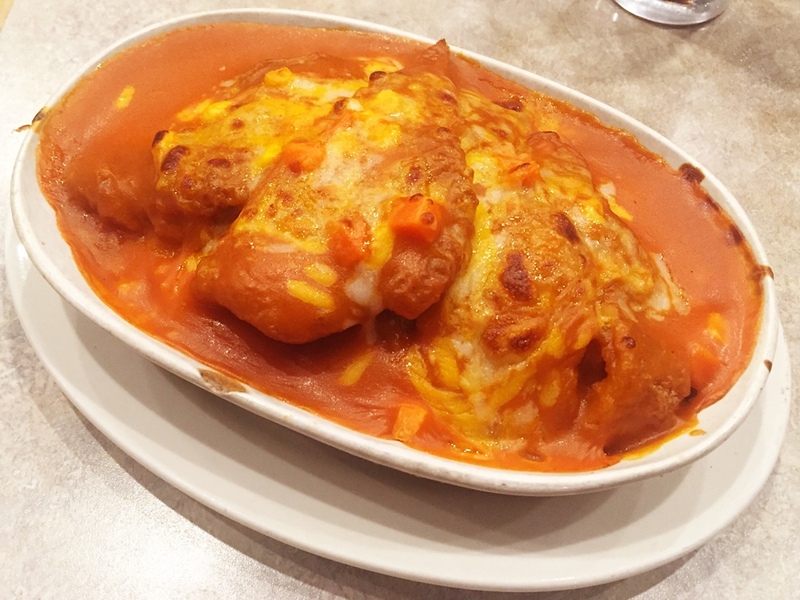 I definitely recommend the Stuffed Chicken Wings and the Pan Fried Scallop Buns, which show some terrific cooking techniques. And just keep in mind that, if you are looking for a table at Sea Harbour for dim sum on the weekend, you better call them at least a day in advance. 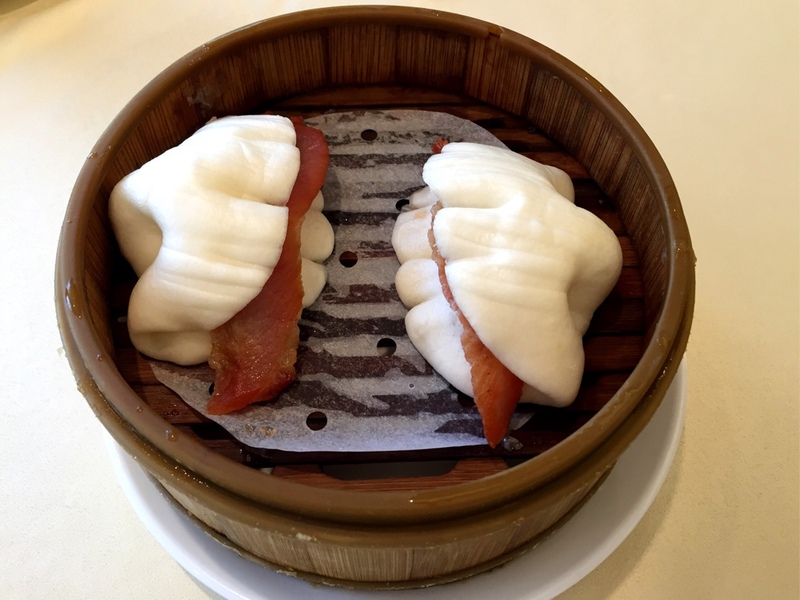 Happy dim sum’ing everyone!